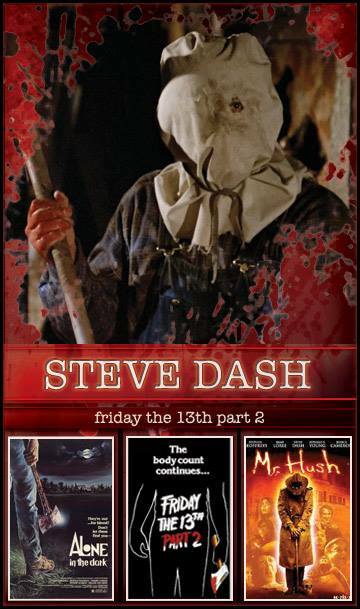 Friday The 13th Part 2 Director Steve Miner is going to have some company from his Part 2 movie this September in the form of one scary guy..... Steve Dash. Actually, Steve is a nice guy, but his portrayal as Jason Voorhees in the 1981 film sure left audiences terrified. Now he gets to bring his dark side to the fans along side is faithful director as he was recently announced to be attending Horrorhound Weekend! Horrorhound Weekend takes place the weekend of September 6-8, 2013 in Indianapolis, Indiana where a number of guests from the franchise are already lined up to greet the fans. There is already a huge Freddy vs Jason reunion in the works with stars Ken Kirzinger (Jason Voorhees), Monica Keena (Laurie), Zach Ward, Chris Marquette (Linderman), Brendan Fletcher (Mark Davis) and Kyle Labine (Freeburg) to be in attendance. There will also, of course, be that Steve Miner guy. For more information, please visit their website horrorhoundweekend.com for events and ticket prices.